Romania’s Fanfare Ciocarlia, perhaps the greatest Balkan brass band in the world, takes a break from its near-continuous world tour to collaborate with Canadian guitarist Adrian Raso, whose playing touches on everything from Django Reinhardt and flamenco to Duane Eddy and rockabilly. 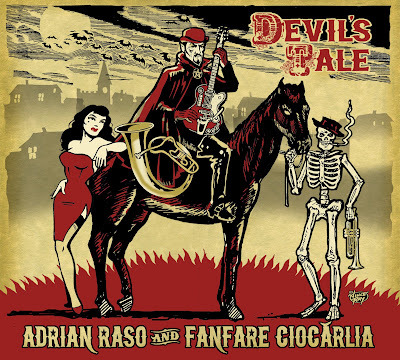 Somehow this unexpected pairing works quite well – Ciocarlia’s role here is more support than leadership, and its punchy, ultra-tight playing brings out the best in Raso’s compositions and soloing. Track 1 is a blues in the manner of “St. James Infirmary” featuring Raso’s banjo; 5 has a flamenco flavor and a chorus that’s right out of Manu Chao’s songbook; 7 is a rollicking, twangy, brassy delight that reminds me of Slovenian singer Magnifico; 8 features jawharp along with banjo on another slow, bluesy number; and 10 has the borderland mariachi-banda sound of Calexico plus a brief, tasty solo by Rodrigo (sans Gabriela). And none of these performances are longer than 4:06, which is part of the secret to the album’s success. 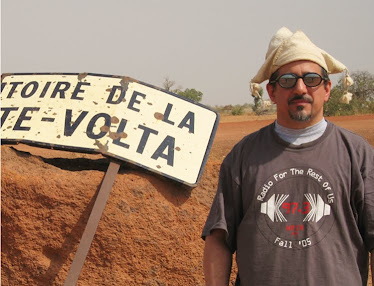 A fun project, different for Fanfare Ciocarlia and a fortuitous introduction to Adrian Raso.